(unlike his last project) . Anyway, thanks for posting the updates!! Haven't seen the teaser! I stumbled upon SBS YouTube channel only to find out they don't have English subs!! I thought my LoTJ problem has been solved! Any way, looking forward to Dear Judge/Your Honor! 1st teaser remind me about Harry Potter. Did you screenshot those photos? How did you inserted it? I'd be infringing on copyright of the translations from the underground if I post it here . SBS's new " Dear Judge " (written by Cheon Seong-il), which will premiere on July 25, is based on a radical take on what constitutes justice. The first teaser video, which was released recently catapults Dear Judge into the limelight and it has emerged as one of the most controversial dramas for the summer of 2018. There are many reasons why 'Dear Judge' is one of the most anticipated dramas this summer. The combination of Cheon Seung-il, who is the best storyteller in Korea and Chungmuro and Anbang Theater, with the solid directing of PD Boo Sung-cheol, along with nuanced actors Yoon SiYoon, Lee YooYoung, Park Byung-eun, and Huh Sung-tae makes for a formidable team to leave the audience spellbound. Nara plays the role of "Ji-eun", an announcer on SBC. Whilst she appears demure like a butterfly, she is a person with a steely interior who can be transformed in an instant to one of ambition and desire. JiEun is the fiancee(?) of judge 'Han Soo-ho' (Yoon Si-yoon). We are looking forward to see how Nara’s charm translates into a scintillating performance on screen as she is up against the more seasoned actors/actresses. On July 7, 'Dear Judge', the production team released new stills of the Nara as JiEun the announcer. In the photos, Nara is sitting in front of the camera in a smart black suit and is running the news, her flawless beauty belies a steely, stately aura that gives us insight into JiEun her character. No doubt her attractive appearance would send many a male viewer’s hearts aflutter with admiration. Nara, a member of Girl Group Hello Venus, debuted as an actress in earnest in the SBS drama 'Suspicious Partner'. Since then she has appeared in the drama "My uncle," and has been praised for her extraordinarily mature performance. Nara has shown steady growth as an actress and is a force to be reckoned with as she prepares to face viewers by taking the role of an announcer in 'Dear Judge'. To prepare for her announcer role, Nara has received special guidance from SBS coordination ceremony teams and Kim Sun-jae announcer one to one. Look forward to Nara’s realistic portrayal of an announcer as she brings her character to life in Dear Judge. “Computer” (Genius) Judge gone missing. I was first born into the world, and I am used to always coming first in everything. I strive at the expense of everything else in order not to miss out on being first. I was admitted to law school due to my endeavors and being the top of my class becoming youngest ever to pass the judiciary examination. I was driven to succeed because of my younger brother KangHo. KangHo was good at sports and was charismatic, and everywhere he went he attracted more attention than me. So whenever we were together, I was a wall flower and he was the life of the party. The only thing that I could consistently better him at was study. I was able to better him in the life stakes because I studied well and it drove me. As I climbed the social ladder, the accolades and recognition followed, I gained as much love from everyone else as he did. The distance and difference between my brother and I grew wider as we grew up until eventually KangHo ended up on the wrong side of the law and went to jail and I went to law school. When I finally became a judge, the gap between Kangho and I was as wide as heaven was to hell. On the day when I was victorious, I was kidnapped by a suspicious man. I thought it would be easier for a judge to “kill” by delivering the death sentence than to be a real “killer”. I passed the bar exam thereby giving me the license to “kill”. Whilst crime is clear, the law is not. In particular, Korean law cannot deliver a verdict of 100 years in prison or 1,000 years in prison. My older sister made me feel like I wanted to be a “killer”. She was raped by a medical student in her freshman year of college, but the law ruled in the hands of the medical student. 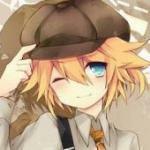 I decided then to become a “killer” to punish bad people without delay. The path to becoming a real killer was closed to me, but the path to becoming a judge was open. So I took it. I passed the bar exam for the sole purpose of determining how to pass death sentences to those who deserved it. I am nearly finished at the Judicial Research and Training Institute and am about to begin my life as a trainee judge in the Hansu criminal department. It is there that I, SooEun, a would-be judge who dreamed of becoming a killer, and Judge KangHo, an ex-con with 5 previous criminal offences, meet. Looking forward to this! Lee Yoo Young's character Soo Eun sounds interesting. The last time I watched her was in Tunnel and she was really good there, playing the role of a detached and cold professor. While the roles are different, I have a feeling the personality here will be more raw and in more pain - allowing her to 'kill' better. Ooo yes I adored her in Tunnel. Stellar performance. She said so much with her stillness and aloof exterior yet portraying vulnerability perfectly . I am sure she will deliver in spades. YSY has already praised her acting in their SBS Catch video - so much so that he says he doesn't even notice the passing of time when in scenes with her (so riveted is he with her performance). That's high praise coming from him. Can't wait to see their characters unfold. Exciting times! EDIT - I am looking forward to squabbling between LYY's character and YSY's character KangHo. With SooEun so hellbent on justice for the "victim"/"defendant" with little room for mercy and KangHo (with his ex-con past feeling he was hard done by the justice system) leaning on the side of giving the accused a second chance and leniency - recipe for fireworks and leaving the audience wondering where we would stand if given that choice as judge - yes to second chances or yes to capital punishment. Apparently capital punishment by hanging is still legal in Korea... so there are people in death row even now. Again...a readable English version of the above article about LYY's character (embellished of course) - I have taken out common bits that don't need interpretation eg what DJ is about and other details about who the writer/producer are. In particular, expectations are high for actress Lee Yoo-young. Lee Yoo-young, with accolades on her belt that include best actress in the 2014 Milan International Film Festival, the blue Dragon Film Festival Award and Grand Bell Award for her role in the film “Late Spring”. She has also made inroads into our small screens with notable appearances in lead roles in “You Drive Me Crazy” and “Tunnel”. Therefore it is with much anticipation that we see her back in the KDrama scene with her main role in the soon to be aired Dear Judge. The production team of “Dear Judge” gave us a first look into Lee Yoo-young's character on July 5. She is sitting in a bare interrogation room dressed in a neat suit. 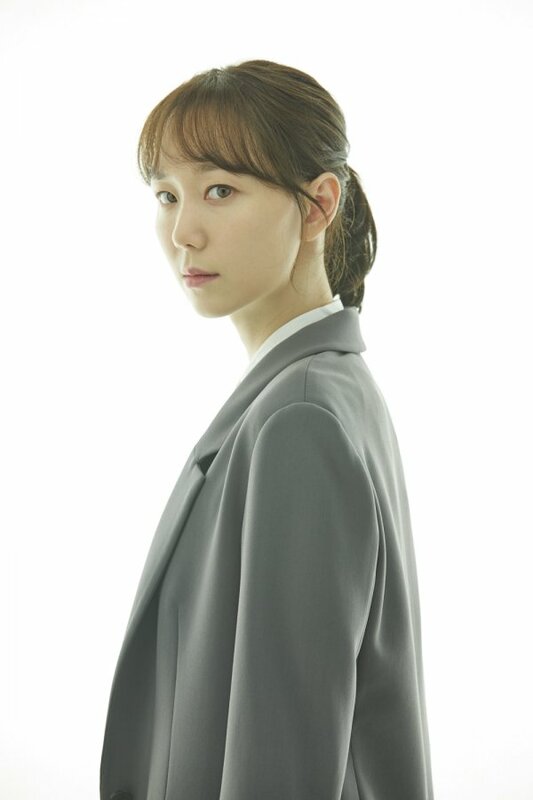 Lee Yoo-young, is completely in character as a Trainee in the Judicial Research and Training Institute. The still photos convey a steely eyed woman with purpose and drive. In the drama, she plays the role of Song So-eun, a student at the Judicial Research and Training Institute. Song So-eun is mentally tough and strives hard to become a judge. She lives with past scars that do not heal, but she still believes in justice. It is intriguing how Song So-eun's character will be portrayed through actress Lee Yoo-young. Fellow actors and staff alike were completely astonished by the effort and passion she was putting into breathing life into her character for “Dear Judge”. The producers are also curious and excited to see how a nuanced actress like Lee Yoo-young will be able to add dimensions to her role in Dear Judge. EDIT- apologies to mods but if I edited my last post with this it would completely fill the page almost? So I put it in another post. Do as you wish with it...if you feel it needs to be merged with the above because I have posted consecutively. “Your Honor” will follow an unconventional judge and his story of growth as he gives out unexpected but refreshing rulings. 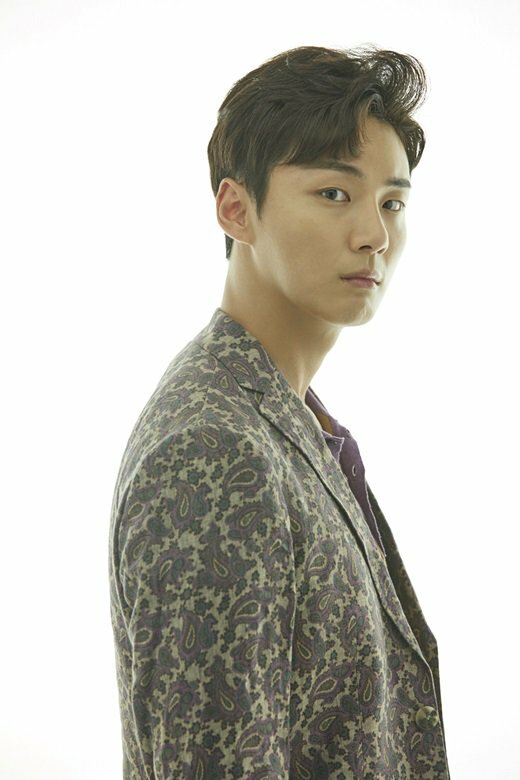 In the drama, Yoon Shi Yoon will play the role of five-time convicted criminal-turned-judge Han Kang Ho and his brother Han Su Ho, a judge who has disappeared. When asked to describe his characters, the actor replied, “Han Kang Ho is a free-spirited soul who is also a five-time convicted criminal who finds himself given the chance to become a judge. Meanwhile, Han Su Ho is someone who is very attached to personal belongings like his pen or pencil case. He never lets his possessions out of his sight, even scratching his head of his armpit with his pen.” Yoon Shi Yoon shared that he’s been working to distinguish between his two characters with small details like this, and he shared that personally, he may be closer to Han Su Ho in terms of personality, but living like Han Kang Ho might be happier. “Your Honor” will be the follow-up production to “The Undateables” and will premiere on July 25. The drama will also be available on Viki! Hello Venus’s Nara is taking on a new challenge in her upcoming drama “Your Honor”! SBS’s new Wednesday-Thursday drama “Your Honor” is the story of an unconventional judge and the refreshing rulings he doles out through his journey of growth and self discovery. In the drama, Nara will play the role of anchorwoman Joo Eun, who seems beautiful and serene on the outside but is full of ambition and greed that is waiting to boil over. She is also the fiancée of top judge Han Su Ho (Yoon Shi Yoon). Dramabeans has also been intrigued by the soon to be release of DJ. In particular do read the analysis of the teaser video by the above author...it is particularly insightful with regards to all the controversies in the judicial system (historically in Korea's past) - it may prove to be a drama that is not as cut and dry as we envisaged...with the writer potentially penning in a statement about the how the lines between good/fair and evil/unjust may well not prove as defined as we would like it to be and much as we try to portray those who uphold the law and wield the power to be above reproach, reality is that they are only human and therefore fallible. Ooo...I love me a drama that has deeper meaning and isn't what it appears to be... Trust LYY to turn down Terrius Behind Me and take up Dear Judge as it is something that would appeal to her gloriously deep thinking mind. Chun Sung Il is set to bring his signature unpredictable storylines and vibrant characters. He will be paired with unique and energetic actors like Yoon Shi Yoon, Lee Yoo Young, Park Byung Eun, and Hello Venus’s Nara. “Your Honor” will tell the story of an unconventional judge and his journey of growth as he tackles the definition of justice with his unexpected rulings. As the follow-up to “The Undateables,” the drama will premiere on July 25 at 10 p.m. KST. The drama will also be available on Viki! SBS’s new drama “Your Honor” has released its first teaser. “Your Honor” is about an unconventional judge and his story of growth. Yoon Shi Yoon plays both Han Kang Ho and Han Su Ho, the former being a five-time-convicted criminal-turned-judge, and the latter being a judge who has disappeared. 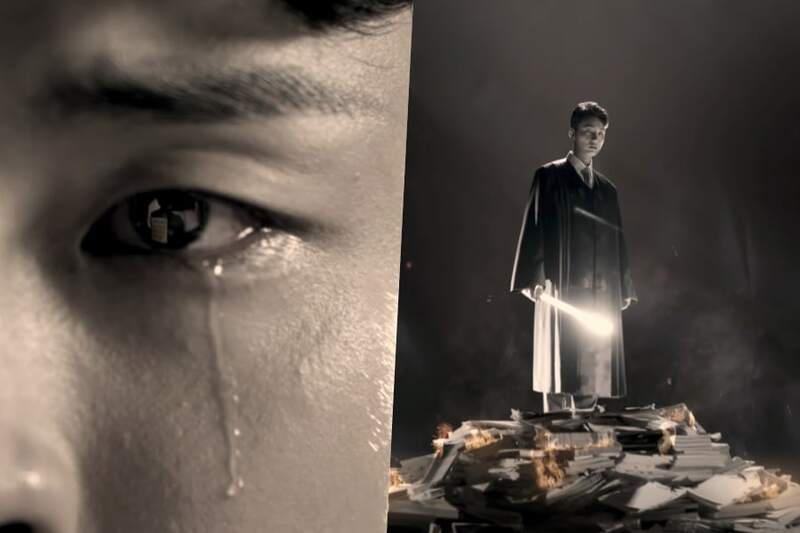 The clip shows Yoon Shi Yoon dressed in black robes, standing on a pile of books with a balance on his left hand and a sword on his right. This is an image that mirrors one of Lady Justice, the figurehead of the moral force in the judicial system. The teaser emphasizes the intensity of the drama by having fire burning at Yoon Shi Yoon’s feet and blood dripping down the sword. “Your Honor” will air July 25 at 10 p.m. KST. The drama will also be available on Viki! The upcoming SBS drama tells the story of a delinquent judge who starts to pass satisfying judgments not found in the law. Yoon Shi Yoon chose to return quickly to our small screens through ' Dear Judge ' and without taking his customary break after the drama 'The Great Prince.' The character he portrays (an ex con with 5 previous convictions) deviates markedly from his previous roles and his usual honest and friendly demeanour. So it is only natural my curiosity is piqued. At this point, I directed my questions to Yoon Shi Yoon directly asking him what was his reasons were and what he thought " Dear Judge " was like. ● "I felt like I was destined to take it up"
Yoon Shi Yoon responded, " I think it's meant to be. If something good comes up, you should accept it and make memories. A good script and a good role made me move regardless of the timing of my return." "Whilst I felt a sense of pressure as well because of the legal genre, I felt that this drama was not exceedingly heavy with legalese jargon but instead it was one that we could explore the many facets that a person named Yoon Shi Yoon has. For this other reason, I made the decision to take it up ." ● " Dear Judge " your first thoughts? Yoon Si-yoon said, "At first glance, the title sounds like a letter you would address to someone. So it could be a paradox, or it could be direct. The title sounds like a clear statement about the theme of our drama, but it also has questions as if alluding to something different on a deeper level. And most importantly, it sounds catchy! Dear judge! " For Yoon Shi Yoon, ' Dear Judge ' is such an intriguing drama that it has compelled him to reappear on our small screens again so soon without hesitation, regardless of the timing of his return. 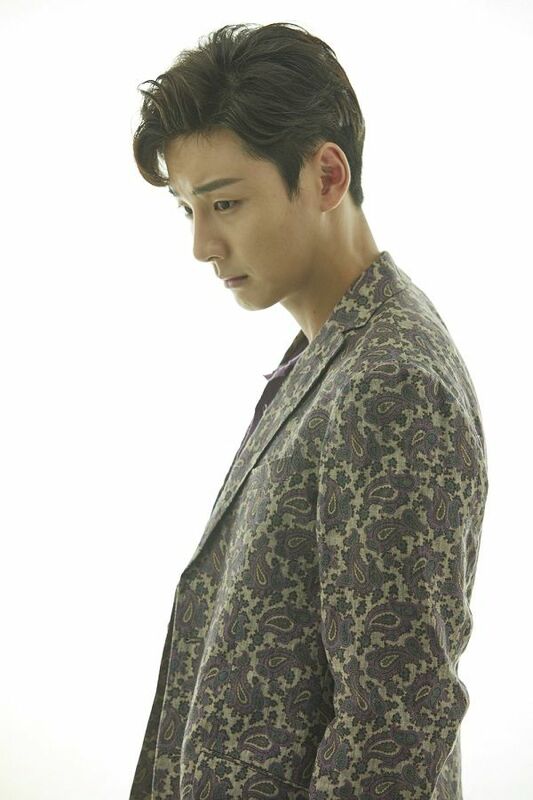 Like Yoon Shi Yoon's hunch, ' Dear Judge ' is expected to turn out to be as good drama as the title sounds. It will premiere on July 25. That angLe tattoo... I can't help but notice it, and it takes away the seriousness of the image (just a little) because... angLe. Yeah I think EVERYONE noticed...so I have a feeling (and Korean forums seem to think this too) that it was intentional. Whether it is meant to be comedic or hold another deeper meaning - well, jury is out on that (pardon the pun). If nothing at all, it has generated a lot of talk which translates to propaganda...all good things when you are trying to promote a drama. So it is clever marketing.